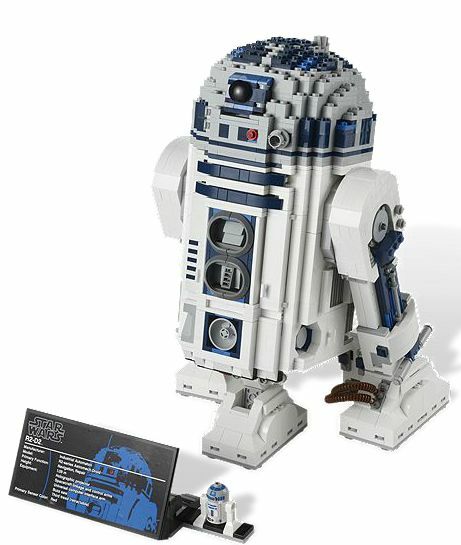 Presenting the ultimate collector series R2-D2 – the best-loved droid in the Star Wars galaxy! Presenting the iconic R2-D2 as you’ve never seen him before. Everyone’s favorite droid from the Star Wars galaxy is now part of the ultimate collector series and features fantastic detailing, such as rectractable third leg, front panels that open to reveal a universal computer interface arm and a circular saw, rotating head and 2 fold-out front spacecraft linkage control arms. With the included fact plaque and mini R2-D2 figure, this diminutive model is the perfect addition to your Star Wars collection!